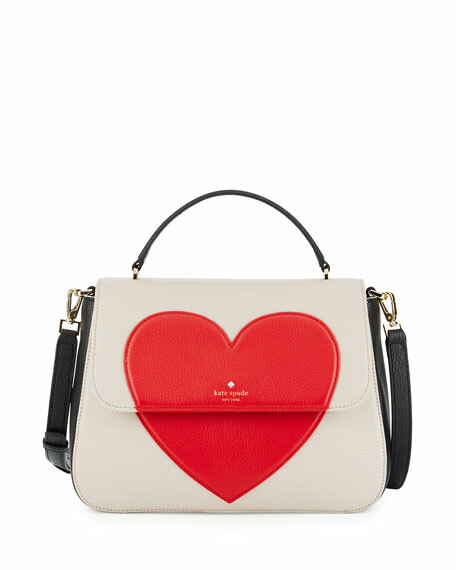 kate spade new york colorblock pebbled leather satchel bag. Flat top handle, 3" drop. Flap top with heart motif; push-lock closure. Embossed logo and spade stud on flap. Foiled "unlock my heart" text under flap. 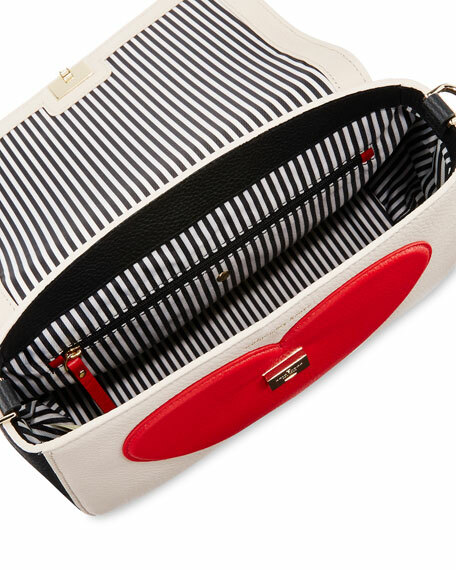 Interior, striped twill lining; one zip and two slip pockets. 8.3"H x 11.4"W x 3.6"D.
"be mine alexya" is imported. For in-store inquiries, use sku #2050663.